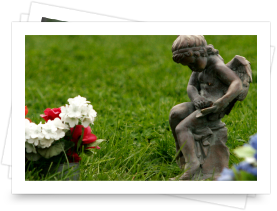 No matter how you choose to care for your loved one's physical remains, we pride ourselves on our ability to recommend to you a variety of locally operated cemeteries and memorial parks. Contact us to connect with our staff, request more information about your options. 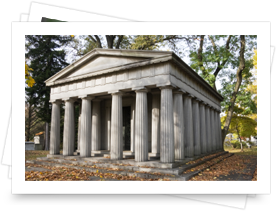 When it comes to a traditional in-ground burial, your family can choose an estate lot, a multiple space lot, or a single space grave. 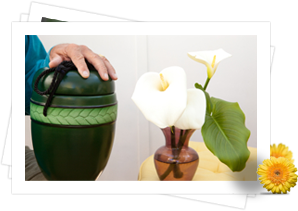 There are a variety of ways to care for your loved one's cremated remains (cremains), whether you decide to keep them within your home, spread them in a cherished location, or inter them in a garden, statue, or other memorial property. We have a wide selection of elegant and beautiful urns your family may can choose from. From biodegradable to solid bronze.